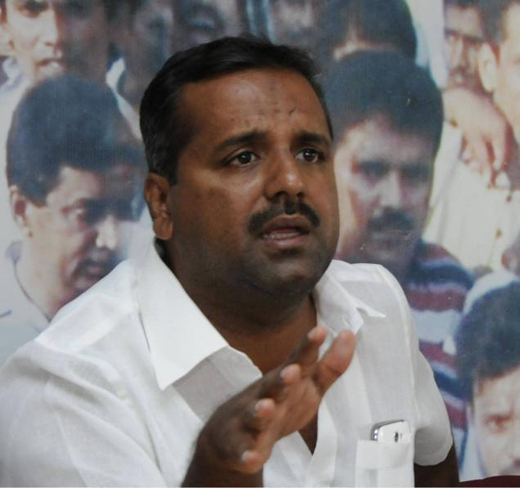 Khader wants police to register case againt leaders for provative speeches. Mangaluru: August 30, 2015: The police should book persons making speeches that incite communal hatred, said Health and Family Welfare Minister U.T. Khader. The absence of action against such persons is a reason for the increase in attacks on couples belonging to different communities. Mr. Khader said that such attacks were a “black spot” on the city, which was vying for funds under the Smart City Project of the centre. “Those behind such attacks should be arrested. Then only these incidents would come under control,” he said. “But I do agree that we have not completely succeeded in preventing such attacks,” he said. Mr. Khader said that these the attacks were by individuals and organisations that were propagating hatred among communities through their statements. “Be an individual or an organisation, the police should book a suo motu case against them,” he said. On how many people can we take action? The feeling has to come from within. The child right from the beginning if it is trained well, it will never interfere in such matters in future and that’s for sure.